Heads up: You’re using an older version of Internet Explorer. In order to get the most out of our website, you can get a free update of Internet Explorer. If you’re using a work computer, you should contact your IT administrator. Other sites have added links to alternative browsers. Only 26% of my visitors use any version of Internet Explorer; 5% are using IE6. But that’s still one twentieth, and it’s time they stopped! 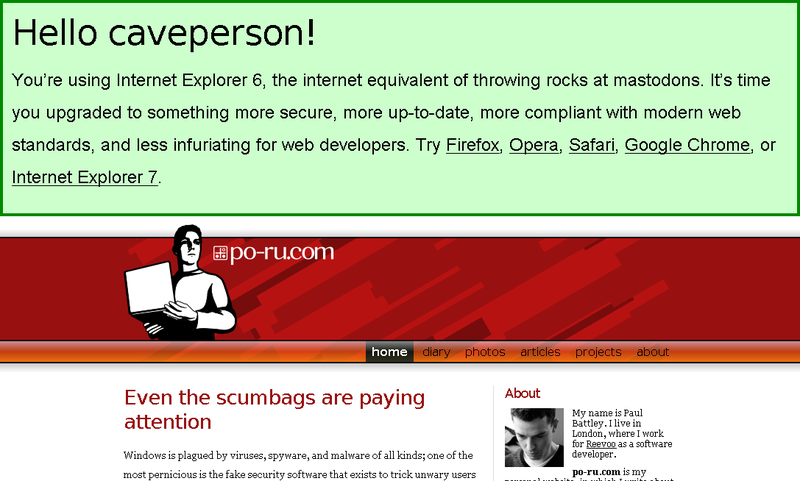 Let’s make 2009 the year that IE6 is finally buried.